I'm back on the blog today to share a A2 size card with you using this one dies! For details on how I created my card please check out my You Tube video which will be listed below the photo. 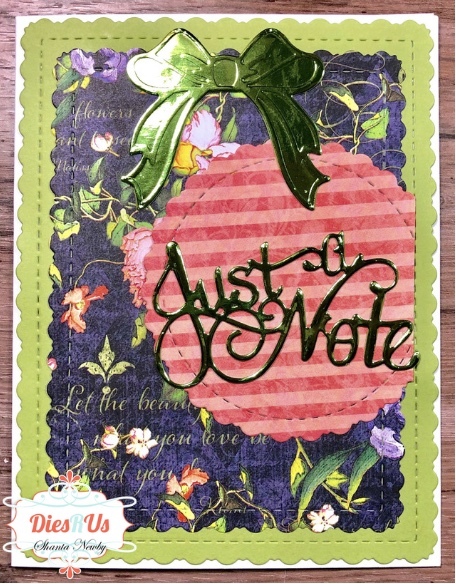 Beautiful card Shanta!! Love those papers! So glad papers are now available in the DRU store!! Love the combination of your pretty papers. Makes it such a happy card. This sure is a lovely card!